Cat® logging, chipping and milling equipment has to put up with a lot — even machines designed for use in harsh conditions will require regular repairs and maintenance to stay running their best. For busy operators, that adds up to a considerable expense over time. Buying used parts can offset this cost without compromising quality. Cat parts are built to be refurbished and reused. In many applications, they can be a great alternative to buying new that saves you both money and time. Even with the best equipment, used parts are only as reliable as the dealer you purchase them from. A component that has premature wear won’t deliver the long-term reliability you expect from it. It’s important to buy from a supplier you can trust. Reputable used forestry parts suppliers will take the time to inspect all parts and refurbish them as necessary. Forestry equipment parts — undercarriage components in particular — are subject to considerable abuse. That’s wear you don’t want transferred to your own fleet, and it’s why you shouldn’t just buy used parts from anyone. In eastern North Carolina, only Gregory Poole gives you the peace of mind you get from an authorized Cat dealer with the appropriate diagnostic and repair tools in house. Since 1951, Gregory Poole has been a leading supplier of heavy equipment to North Carolina clients. 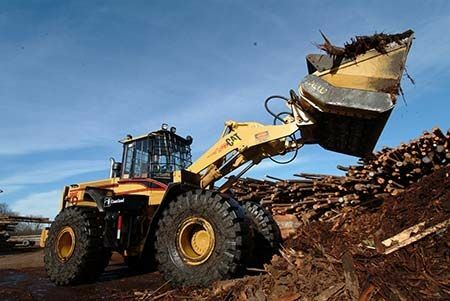 We work closely with the logging and forestry industries to offer complete equipment solutions. If you’re trying to make the most of your budget and don’t want to deal with backordered or out-of-production components, used parts are your answer. You can often get your parts in 24 hours. As a member of the Caterpillar® Dealers Used Parts Association (CDUPA), we uphold the highest ethics and standards of quality when it comes to used parts. Our factory-trained technicians inspect all items, looking for flaws and wear that can affect their performance. We have a large selection of high-quality used parts in like-new condition, and we can even source hard-to-find parts from our network of dealer partners. Let us match you with the right part for any repair or maintenance issue. Contact Gregory Poole today for more information.